LEHII Pull-and-Go Vehicles Set is made with nonetoxic plastic,includes 12 vehicles. It is a great fun when kids pull back the vehicles and release to see it zoom off across the floor and a perfect gift for children to playing a different roles in party time. The perfect idea for Easter Egg Stuffer, Easter Toy and Prizes, Birthday Presents, Classroom Rewards, Halloween Girfts, Christmas Gifts, etc. 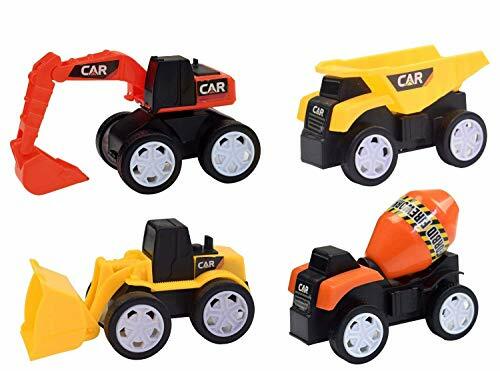 Help kids to learn more about car and truck; Improve children's imagination The activity of "driving" and collecting (pull, release, crawl) benefits large muscle groups and coordination. WARRANTY: We Offer 1-year free replacement GUARANTEE! !